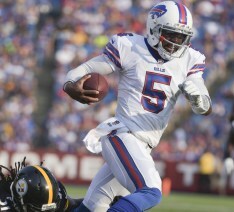 New England vs Buffalo: Tyrod Taylor could be a headache in the making | NFL News, as it happens, when it happens. Your one stop shop. The Patriots will be facing off against the Buffalo Bills this week after both teams won in their week one matchups. 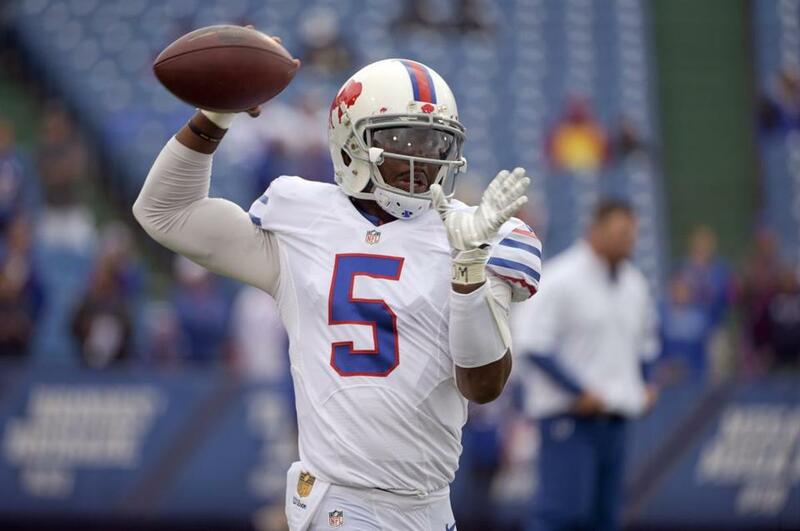 A key factor in the Bills win against the Colts was due to the strong play of quarterback Tyrod Taylor. In the past the Patriots have tended to struggle defensively against mobile, speedy quarterbacks and Taylor is just that. Against the Colts Taylor was 14 of 19 passing with 195 yards and a touchdown, adding 41 yards on the ground. Taylor’s mobility helped him move around the pocket and extend plays. His speed and mobility also opened things up for the offense because of his ability to run the option and draw defenders off his offensive weapons. New Buffalo Bills coach Rex Ryan knows from his tenure with the Jets that the Patriots have struggled against mobile quarterbacks and has had some success because of it. In the Patriots-Jets first meeting last season, Jets quarterback Geno Smith ran for 37 yards on seven carries and Smiths running ability almost lead to a New York Jets come from behind victory, before Chris Jones blocked a field goal to end the game. In 2013 against the Patriots Smith ran for a combined 50 yards on nine carries, and added a touchdown on the ground. The team also struggled in the Super Bowl with Russell Wilson rushing for 39 yards on three attempts. Rex Ryan has had some success against the Patriots’ defense in the past and knows the team’s weakness and where to attack, especially with the speed and skill set that Tyrod Taylor possesses. Another reason why Taylor could give New England problems on Sunday is because of his lack of experience. Yes I know this sounds odd but with Taylor’s only career start coming last week against Indianapolis and with limited playing time during the Bills quarterback battle this preseason, there is not much film on Taylor which can make it hard to game plan against. With no film it can be hard to pinpoint weaknesses in Taylor’s game, especially coming off a strong performance last week. I expect the Patriots defense to be better prepared for Taylor than Indianapolis was and for Taylor to not have as good a performance this week that he did last. With that being said, Taylor’s skill set is something Patriots fans should still be worried about with all the different ways that he could beat a team. 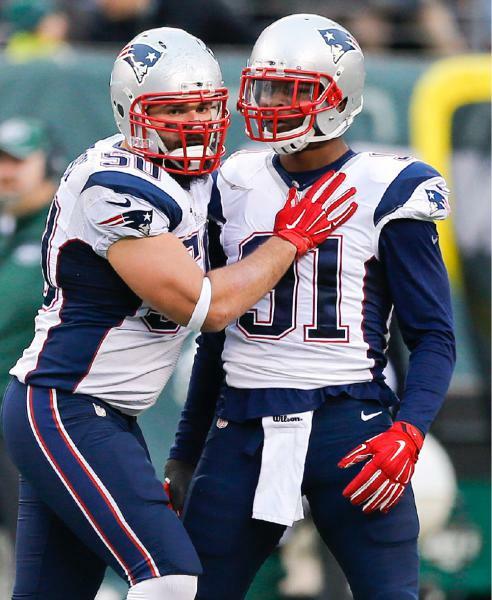 I would expect the team to use a quarterback spy on Taylor such as Jamie Collins or Rob Ninkovich. Collins or Ninkovich do not possess the pure speed and quickness that Taylor does but they are both extremely smart, athletic players who could follow Taylor around the field and stop him from breaking off long runs. This would also allow defenders to stay on their man to eliminate potential targets. Ninkovich played a spy role in the Super Bowl against Russell Wilson at times and proved to stop him from scrambling as much and made one of the biggest plays in the game when he sacked Wilson late in the fourth quarter when spying Wilson. This weekends game between the Patriots and the Bills could shape up to be one of the best games of the regular season. A huge key to victory for the Patriots is slowing down this Tyrod Taylor led Bills offense. Previous PostNFL Recap: 5 Things We Learned from Week 1Next PostNew England Patriots: Is The “New” AFC East To Be Feared?